Rainbow Six Siege Operation Grim Sky is currently available for play on test servers, and Ubisoft already has some changes in mind ahead of the update’s proper release. There’ll be a big series of nerfs to Maverick before he officially becomes part of the game, as well as subtler changes to Hibana, Zofia, and Glaz. Perhaps most notable is a nerf to Dokkaebi’s phone calls, though that’s going to be coming some time after the Grim Sky update. 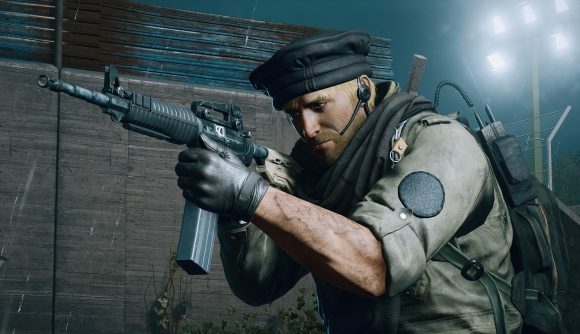 If you’ve played on the TTS and found Maverick a bit overpowered, there are a set of changes aimed at keeping him in line. It’ll take longer for the blowtorch to destroy barbed wire, the torch will now be louder, and Maverick’s smoke grenade is now a stun grenade. The blowtorch may eventually have a higher ammo cost for breaching – pending further data – but don’t expect its range to get shortened. Ubisoft says that’s an absolute last resort of a change, as it would take months to ensure everything still works afterward. Zofia will now have fewer concussion grenades to work with, dropping from four to three. For Hibana, the number of pellets required to destroy a hatch is dropping from six to four. There was also a bug preventing Glaz from destroying Castle’s Armored Panels – unintentional, but Ubisoft decided it’s a good thing, so now it’s permanent. If you want a full list of what’s changing alongside the new operation, check out the Grim Sky TTS patch notes. The Grim Sky release date is not yet official, but we’re expecting it on September 3 – follow that link for much more on all the new features.